One of the favourite sayings of the Ordnance Survey is that everything happens somewhere. Combine this with the digital sector – based on digital computing technologies – and you can see the vast potential of geospatial data as a new, ‘general-purpose’ technology that can unlock significant value across the economy. This data, about location or place, is becoming an increasingly critical element of a successful economy. Whether it’s using your mobile device to find the nearest restaurant, or using geographical analysis to manage an emergency response to flood location, geospatial data matters. 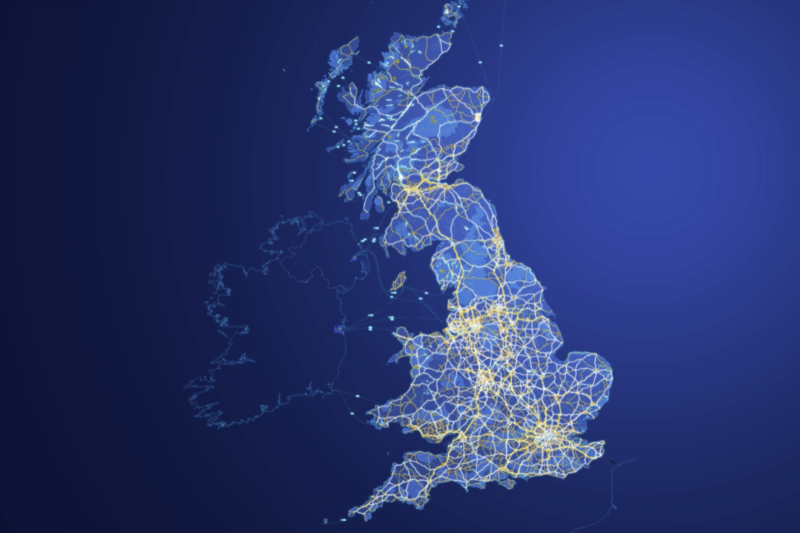 The Government recognised this in its manifesto commitment to bring together the data held by five core bodies: Ordnance Survey, HM Land Registry, UK Hydrographic Office, the British Geological Society, and the Valuation Office Agency. This article sets out the work that turned this commitment into the Budget announcement of a new Geospatial Commission. In 2017 the UK ranked second out of 50 countries in the Geospatial Readiness Index produced by the Global Geospatial Industry Outlook. 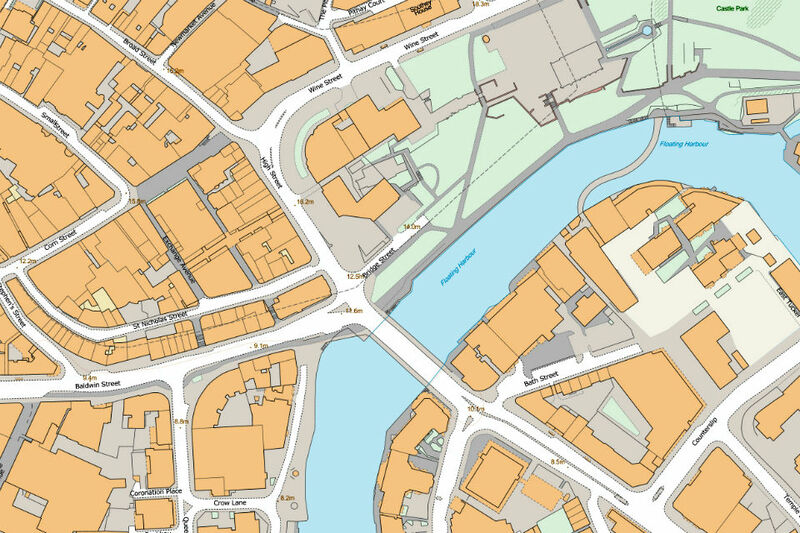 Ordnance Survey, the national mapping agency, provides some of the most detailed and frequently updated topographic maps in the world. The United Kingdom Hydrographic Office collects and supplies hydrographic and geospatial data for the Royal Navy and merchant shipping, to protect lives at sea. Data is found on over 90% of the world's ships trading internationally. Digital Built Britain, our world-leading Building Information Management programme, is replicated in countries like Australia. The team’s combination of officials and consultants brought different approaches and lenses to bear on wide-ranging possibilities for exploiting geospatial data in the public and private sectors. We also had extensive engagement with the core partner bodies – government’s geospatial experts – themselves. Confirming the scope of geospatial data. This involved developing definitions to differentiate between those who created the core reference data and those who then provided additional analysis or content. This led to many discussions on the nature of data created by public bodies like the Met Office, the Environment Agency and local authorities. This, in turn, resulted in the inclusion of the Coal Authority as a sixth core body, but also in advice that the Commission should engage across a wide range of public sector bodies. Exploring the lessons to be learnt from previous attempts to better coordinate data policy (e.g. the Public Data Group, UK Location Council and Transparency Board). From this, we identified that to stand the best possible chance of succeeding, the new body would need a combination of budget, a clear purpose and remit, and ministerial support. International comparisons. These showed that, while we had expertise in different individual bodies, the UK differed from every country we would consider a competitor in not having a body that thinks about our geospatial strategy and economic opportunities. Governance and geographical scope. The bodies named in the manifesto were not consistent in their geographical scope. For example, Ordnance Survey covers Great Britain, whereas the Land Registry covers England and Wales. Nor were they uniform in their structure, with trading funds, government companies and non-ministerial departments all in the organisational mix. We also understood that much of the valuable data, particularly for issues around housing, were held by local authorities. This all needed to be worked through. A bottom-up economic analysis of the opportunities in the public and private sectors. There were many suggestions for how geospatial could be used more effectively, but it was critical to keep the approach grounded in evidence and analysis. Through extensive user engagement and case studies, we developed an economic case for reform that suggested a £6 billion to £11 billion per annum opportunity in the private sector alone. This valuation was done according to the Green Book, HM Treasury’s guidance on policy, project and programme appraisal and evaluation, and was signed off by HMT. The economic case also allowed us to develop a number of actions for ‘unlocking’ this value, creating a potential plan of work for the new body. This then fed into our understanding of what capabilities would be needed. An ‘ecosystem’ analysis to look at the wider opportunities. This work looked at the geospatial data as a system – how it is generated and how it interconnects. It also considered new potential use cases, including the role of open data in building a robust ecosystem. We also asked academics and the private sector for their views, which helped to challenge our assumptions and keep us focused on solving real problems rather than imagined ones. This extensive work concluded with the recommendation that we establish a Geospatial Commission to set the geospatial strategy for the UK, with individual bodies remaining responsible for delivering data and solutions in their own areas. The Chancellor announced the creation of the Commission at the 2017 Autumn Budget. The use of a blended team of cross-government officials and strategy consultants helped in cutting through departmental silos and challenging long-held policy assumptions. The consultants also brought a different way of thinking that challenged our own assumptions and encouraged new ideas. One particularly valuable approach was the framing of intangible benefits around what you would need to believe in order to deliver that outcome. The combination of an evidence-based use-case approach and a wider ecosystem view enabled us to stay grounded in terms of what was needed practically to have an impact, while keeping an eye on future opportunities for geospatial data. Senior sponsorship, through a steering group of Permanent Secretaries and Director Generals, chaired by Cabinet Office Permanent Secretary John Manzoni, was important for building consensus across government, and allowed us rapidly to focus on the main issues. Be wary of simplistic ideas and solutions. We had to resist the temptation of simple solutions, like seeing open data as a panacea, or feeling that the rest of the world was better at geospatial. Neither is true – case studies and evidence were vital in challenging them. Finally, the most important thing we learnt was that there are amazing people working across government, excited to be involved in the opportunities of geospatial data, and a cross-government team is a great way to bring them together. Flock, an end-to-end safety and insurance solution for piloted and autonomous drone flights. Geospock, a real-time database for storing and managing location data. Applications include weather modelling, facial recognition, voice recognition and DNA sequencing for healthcare. LandInsight makes it easier to find off-market leads for development land and property. Shipamax is building a data-driven platform for bulk shipping – replacing the thousands of unnecessary emails, siloed Excel files and instant messages between players required for each booking. As someone who worked on the initial implementation of the "UK Location Strategy" and EU INSPIRE back in 2010 (as lead Business Architect), this all sounds very familiar. On the "Lessons Learnt", the first 2 bullet points were very much applied back then. I suspect the main thing that has been missing is some serious 'wheels'. Under INSPIRE, surely all the standards are now in place; as should API publication (open or not) of all the base and primary overlays? Interested to know why this will not include Northern Ireland? > One of the favourite sayings of the Ordnance Survey is that everything happens somewhere. One of the favourite sayings in Wales and Welsh is everything happens somewhere sometime – mae popeth yn digwydd rhywle rywbryd. It marks the fusion of spatial data for place and temporal data for time, bringing a new geotemporal dimension to geography, social geography and the worldwide web. Wales has been pre-eminent in innovative geospatial data applications, working closely with Ordnance Survey – Arolwg Cymru – on Welsh language issues with teams of experts in the three land management agencies merged now to form Natural Resources Wales – Cyfoeth Naturiol Cymru. Together with AGI Cymru, their input into mapping out the future of the new Commission, moving the focus from maps to open geographical information, will empower a new breed of entrepreneurial data scientists working in the private sector free of state control to do what Ed Parsons did for Google when he left Ordnance Survey as their “ go ahead” Chief Technology Officer in 2006.